Between 10% and 40% of the time spent on any quality painting project is devoted to preparation. If the surfaces upon which you apply paint are rough, have many holes and dings, or aren’t properly prepared, no matter how much effort you put into painting, the completed work just won’t look pleasing to the eye. By following the steps below, you can ensure that your next painting project gets done right the first time and lasts for years to come. You’d be surprised how much time you can save by painting in an empty room vs. a room filled with furniture and other décor. Avoid paint splatters and constant obstacles by removing most items from the space you are painting. Cover the floors, fixtures and any remaining items with drop cloths and plastic sheathing to avoid drips and splatters. If the finish on the walls, trim or other surfaces you wish to paint is peeling, it’s necessary to remove all loose material before getting started. You can use a paint scraper, a spackling knife, and/or sand paper to remove the flaking material. From small nail pops to visible seams and large holes, you’ll need to repair the drywall before you slap on any paint. While wall patches offer quick speed for repairing holes, they add material on top of the existing wall surface and require significant feathering with spackle to hide. A better approach is to cut back the drywall to the nearest studs, add a new piece, lay drywall tape on the seams, spackle and sand. The key to a smooth paint job is sanding. Make sure all the repairs you made are sanded flush with the existing drywall. 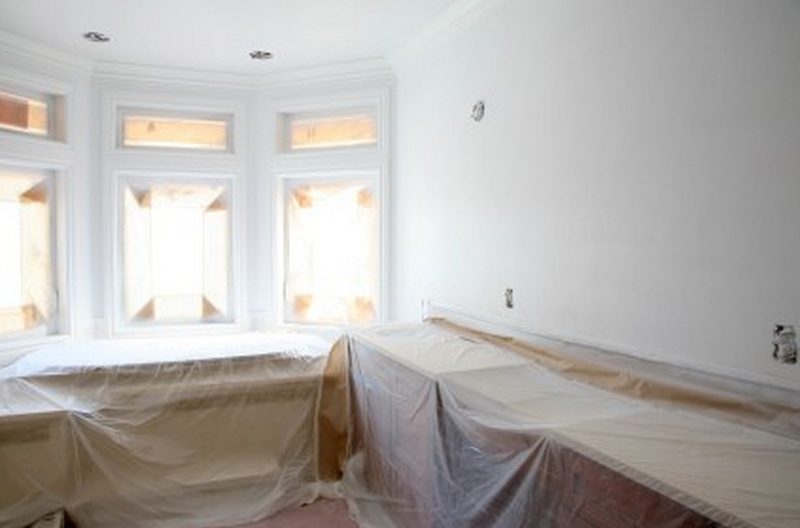 It’s important to give all surfaces a light sanding, dusting and wipe down to ensure proper primer and paint adhesion. 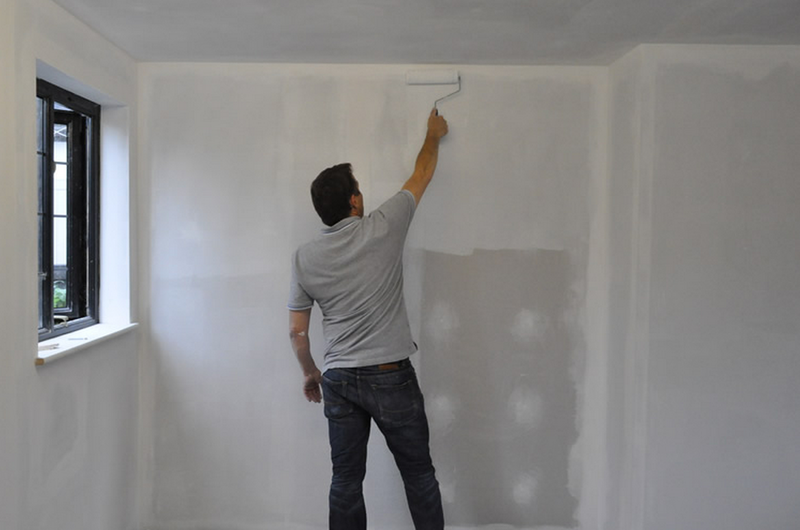 All areas that have been repaired must be primed with a general latex primer to avoid flashing (this happens when unprimed areas pull all the moisture out of the paint topcoat causing the finish to differ from the rest of the area). A great tip and time saver is to have your local paint store tint your primer a similar color to your paint to cut down on the number of finish coats required. Now that you have adequately prepped your area for painting, it’s time to coat the surfaces with the finish paint you have chosen. If you are painting a room that requires multiple gallons of paint, it’s a good idea to mix them all in a bigger bucket to ensure the color is consistent throughout. You’re now ready to complete your painting project. Good luck! When Should You Use a Primer? You may not be familiar with primers, however there are many painting applications where using primer is not just optional, but mandatory for creating a beautiful finished project. Provides a uniform and attractive paint finish. Blocks tannin, water, grease and smoke stains that can bleed through your topcoat.